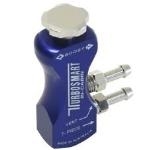 All Turbosmart Gated Boost Controllers feature our exclusive Gate feature which minimizes wastegate creep and can improve turbo response by up to 800 rpm earlier in the rev range � this means that you can increase the performance and response from your engine without even raising the maximum boost level. Control the boost from the driver�s seat. Ideal for the active enthusiast who wants boost adjustment on the run. Detent System makes adjusting a breeze. Gated System brings boost on faster. response by up to 800 rpm earlier in the rev range � this means that you can increase the performance and response from your engine without even raising the maximum boost level. 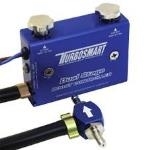 - See more at: http://www.turbosmartdirect.com/Product-Categories/Manual-Boost-Controllers/Dual-Stage-Boost-Controller-Blue.html#sthash.8y73lBoj.dpuf TiAL's newer version of their popular 50mm BOV. 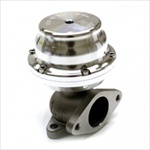 Direct fitment for any 38mm, 2-bolt wastegate flanges. 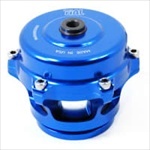 This recirculating Blow-off Valve is the first offered from TiAL, and comes in a variety of colors and pressure springs. E-Boost STREET is an electronic boost controller aimed at the street performance market. It features many boost control capabilities found on its big brother � the e-Boost2, continuing the e-Boost tradition of providing class-leading boost control, value for money and no nonsense features. New features include 40psi max boost operating pressure and an auxiliary output. � 2 Boost Settings: easily selected via the �turn-and-push� button. An external switch can also be used to change between boost groups if required. � Boost Correction Factor: eliminates boost drop off at high RPM. � 3 Segment Display: with adjustable brightness can be configured for PSI, KPa, or BAR and will flash when warning of over boost shutdown or rev limit, allowing the unit to be used as a boost gauge, tachometer, or a shift light. � Maximum Boost Level: 40PSI / 2.72BAR. 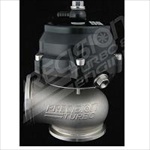 AEM�s boost control solenoid is included with the TRU-BOOST controller gauge. 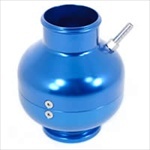 It is specifically manufactured for automotive boost applications and will not corrode and stick from exposure to rich fuel mixtures or oil vapor. 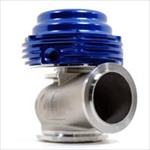 It is pressure tested to 100 psi and includes barbed fittings and -4 AN fittings to eliminate any chance of leaks. 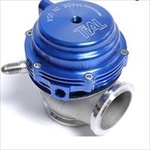 The Innovate Motorsports SCG-1 is a revolutionary approach to boost control that integrates an advanced standalone boost controller with Innovate�s industry leading DirectDigital� wideband air fuel ratio technology. When we decided to build a boost controller, we knew we had to offer more capabilities than other products available today, while still maintaining the user friendly functionality demanded by our customers. Instead of repackaging the same boost control technology that has been used for decades, we choose to pair our advanced O2 sensor control technology with our all-new, proprietary solenoid control that provides superior boost control accuracy, response and safety. We also added a user programmable shift light and housed the entire package in a compact gauge body for ease of installation and use. As with all of our air/fuel ratio products, the SCG-1 utilizes our 100% digital wideband air/fuel ratio technology to provide real time feedback to the SCG-1. This air/fuel information is displayed on an integrated OLED display along with manifold pressure and wastegate duty status. The air/fuel ratio information is also used to provide a user definable boost cut that enhances the safety margin over most competitors offerings that only rely on over boost threshold. The SCG-1 has a full-programmable analog output ideal for applications using standalone ECU�s, piggy-back ECU�s or external data loggers. The SCG-1 also has a digital input/output for integration with our other Modular Tuning System (MTS) devices. This same digital output can be used to record air/fuel ratio, solenoid duty cycle, engine speed and manifold pressure with our free LogWorks PC software to help you dial in a perfect boost curve. Patented DirectDigital� wideband sensor control, 100% digital wideband air/fuel ratio technology!